The index opened weak and stayed weak for most of the session of trade but saw huge short covering rally in the last 30 minutes to close near the top at 8952.35, gain of 38.05 points. The broader market though was negative, with 726 advances to 791 declines. Initial Developing Range as per Option Table comes to 8500-9200. Call option 8500-9300 added huge 22.44 lacs OI. Put option 9000-8000 added huge 44.56 lacs OI. Nifty Open Interest is at 2,47,46,250 up by 43,20,300, with increase in price, most probably 100% roll-over with huge long build-up. Bank Nifty Open Interest is at 19,26,550 up by 4,13,775, with decrease in price, mostly roll-over with some liquidation. FII’s bought huge 19.12 lacs Futures, which includes 167755 contracts long liquidation and 165391 contracts short covering, with decrease in net OI by 333146 contracts (includes 381912 longs to 305427 shorts for the day) and the Average Price comes to 9162.48. 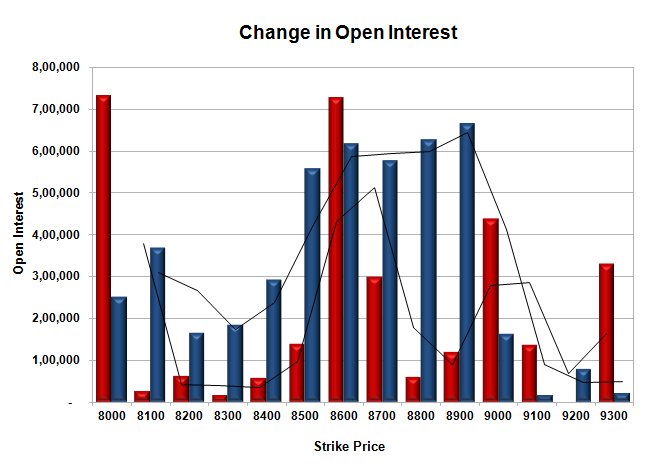 FII’s Index future open contract as on date is 829727 Longs to 100208 Shorts, net long 729519 down by 2364 contracts. 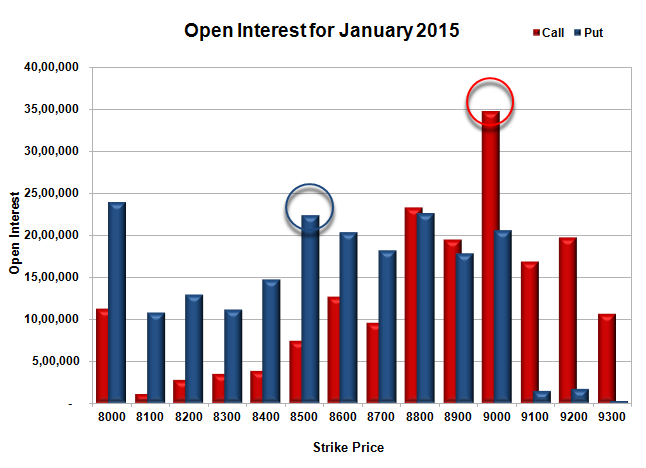 Initial support at 8800, with huge OI of 22.61 lacs and below that at 8500 with OI of 22.30 lacs. Initial and best resistance at 9000, with huge OI of 34.71 lacs and above that at 9200 with OI of 19.79 lacs. 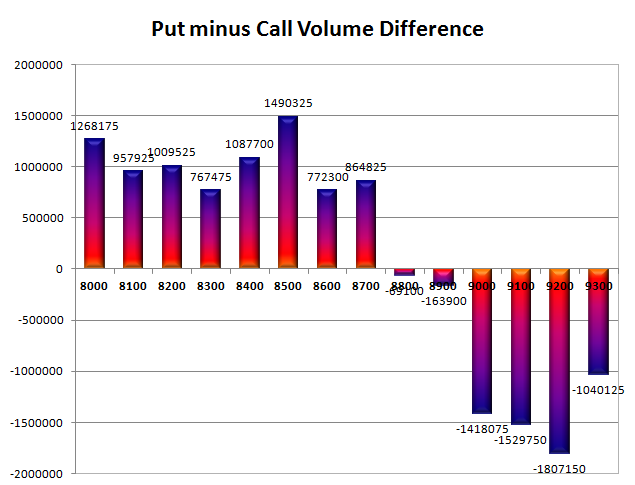 Day Range as per Option Table is 8857 - 9007 and as per VIX is 8861 - 9043 with 8927 as the Pivot.